Welcome back to Monday Motivation! When you are married to an engineer and have a slew of boys, odds are pretty good that Star Wars ( and LEGO) are a huge part of your life! In a few days is May 4th. 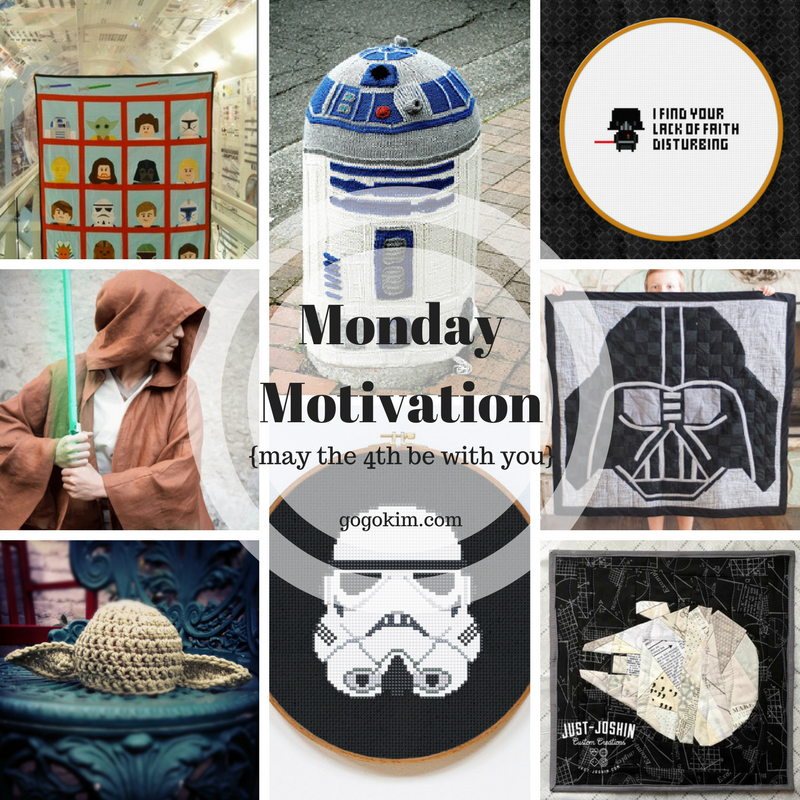 It is an unofficial holiday for May the 4th be with you! 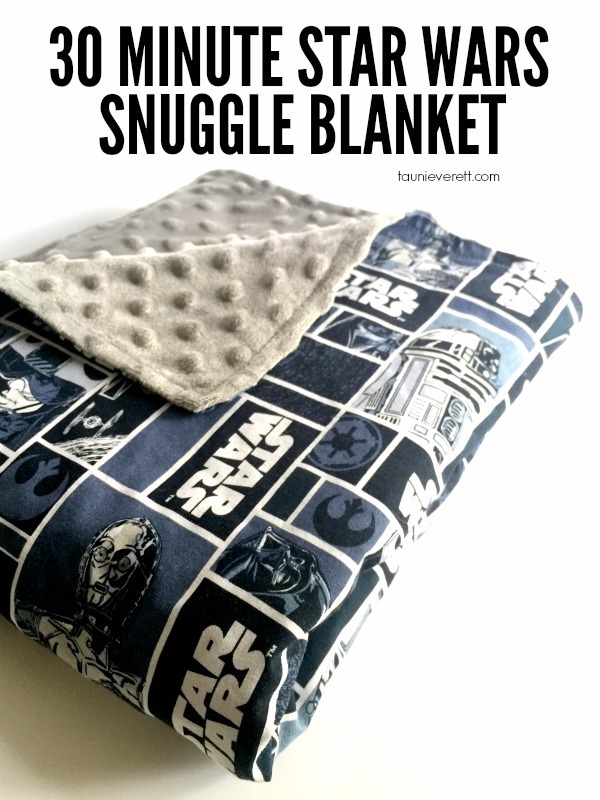 Fast, easy and cozy! This may be the new favorite in your house! Get the free tutorial by Snap Creativity here. Quirky Granola Girl is incredible! 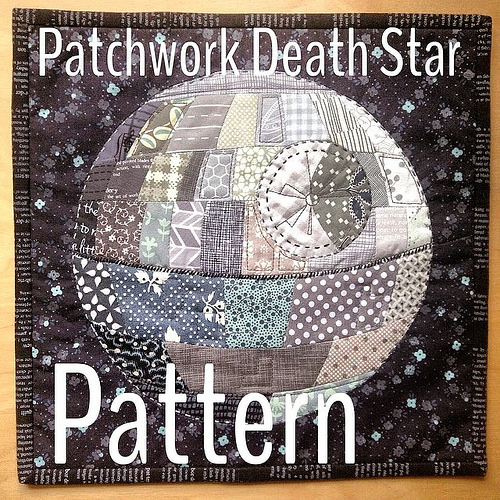 Make sure to check out her free pattern for The Deathstar mini quilt here! 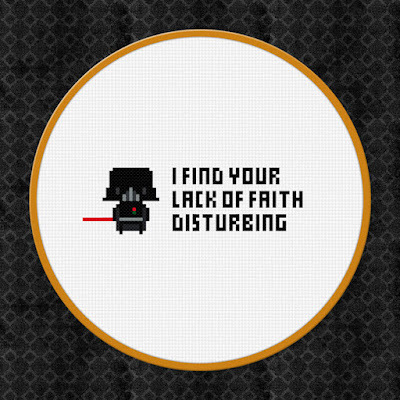 Every household needs a Lord Vader quilt in their house! Schwin& Schwin has a free pattern available here. Remember when I started out with Star Wars AND LEGO? 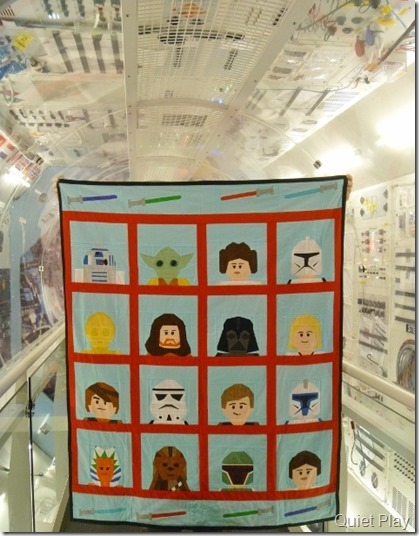 Quiet Play has this insanely cool LEGO Star Wars Quilt and the the pattern is FREE! WHAT!?! Visit here to learn more! 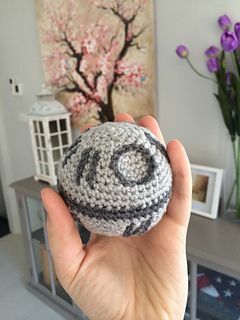 Grab your hook and crochet this super cute Death Star! 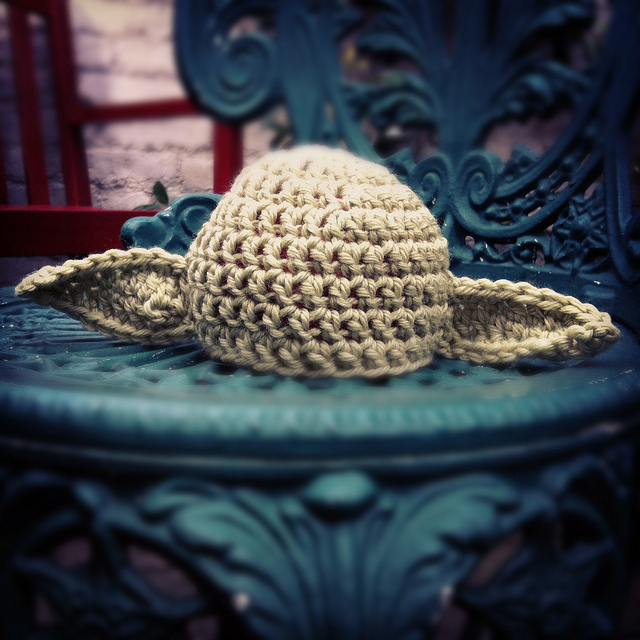 Get this pattern by visiting Yarny Doom here. Everyone LOVEs the sweet R2-D2! 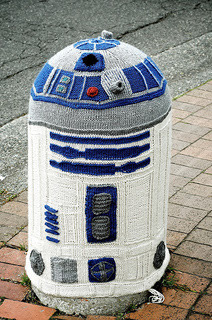 You can hug this knit R2-D2 with a pattern by Sarah Rudder on Ravelry available here. The tried and true Millenium Falcon Mini Quilt can be made for your good guys with this free pattern from Just Joshin on Craftsy. 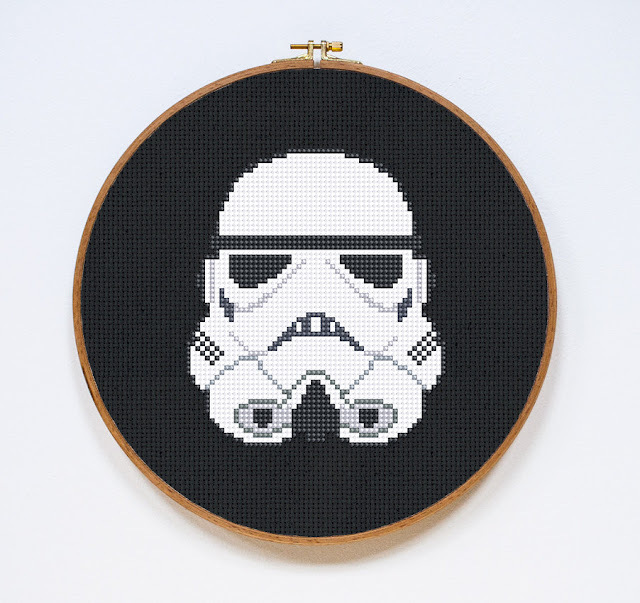 The dark side storm troopers are pretty cool when cross-stitched with a free pattern by Stitchering. Yoda is the most quoted character in our house. Not sure why other than the in house engineer can make his voice...LOL! 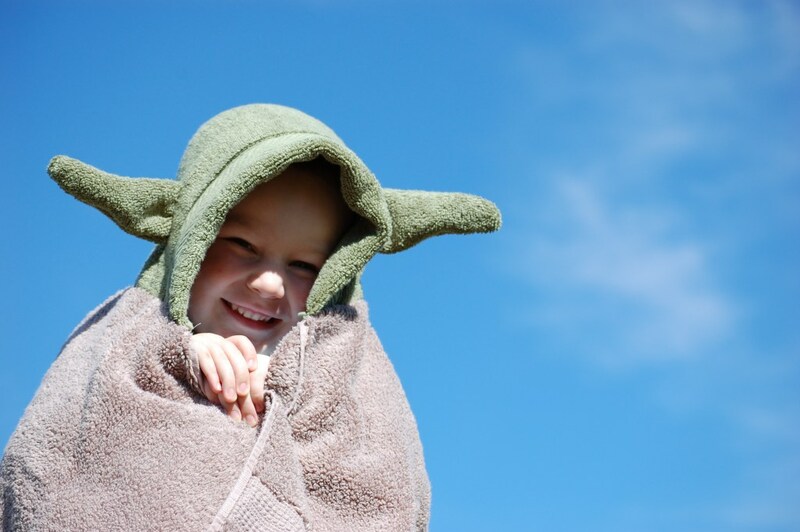 Your kids ( and mine) will LOVE this towel! It can be for after bath OR just for fun! Let your kids decide! Get the free pattern from Doing Splendid here. This may be MY favorite from this collection ( really hard to pick a favorite). Get this cross-stitch pattern here. Simple and awesome! Claire Brown has this cross-stitch pattern on Crafts Tuts Plus! OMG!!!!!!!!!!!! Stop the All Terrain Armored Transport! This is in German but the tutorial is pretty straight forward! 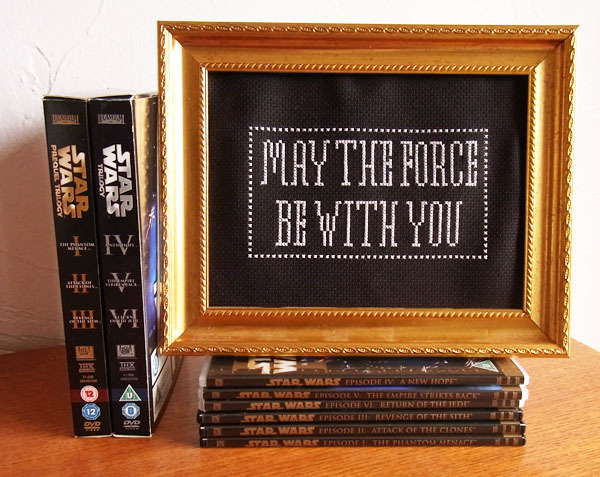 Run to DIY with Love for this tutorial! Last one was too sweet to pass up! This baby Yoda crochet hat is the perfect way to start your youngest Jedi off on the right side of the force! 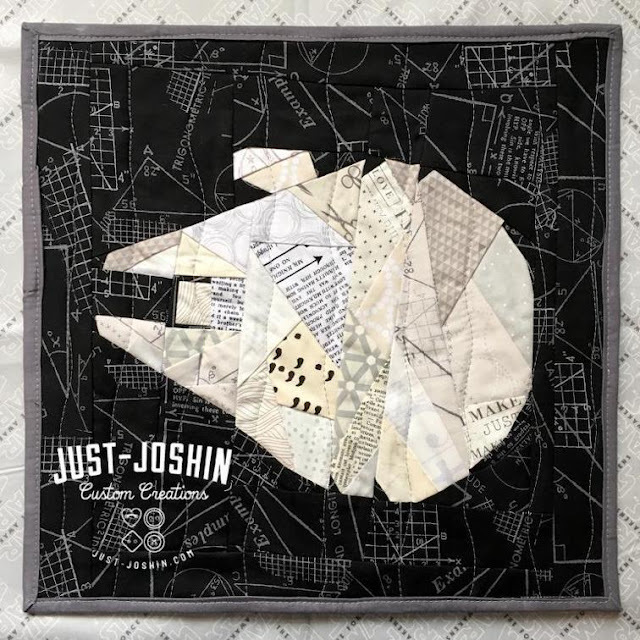 Get this cute pattern on Raverly here. Get your 4th on and have some fun! So very perfect!! Again, thank you for knowing exactly what was on my mind! So many fun ideas here!